Simon & Schuster, 9781451618310, 224pp. From the Pacific Northwest to the Upper Midwest to the Canadian Maritimes, “America’s best fishing writer” (Houston Chronicle) shows us why life’s most valuable lessons—and some of its best experiences—are found while fly-fishing. “I have to go fishing; it’s my job.” John Gierach can say that and mean it. But fishing is only part of his job. The other part is writing about his fishing adventures. And that’s the part we readers get to enjoy. Gierach may occasionally lose a fish, but he never loses his passion for fishing or his sense of humor. 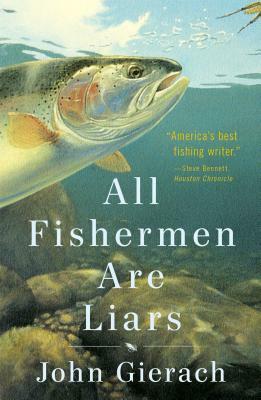 All Fishermen Are Liars proves yet again that life’s most valuable lessons—and some of its best experiences— can be found while fly-fishing.